A modern approach to collection and recoveries that manages accounts at any stage of the delinquency lifecycle. QUALCO Collections & Recoveries provides the means to manage accounts at any stage of the delinquency lifecycle (from early arrears to legal and restructuring), supporting the management of any type of credit products. 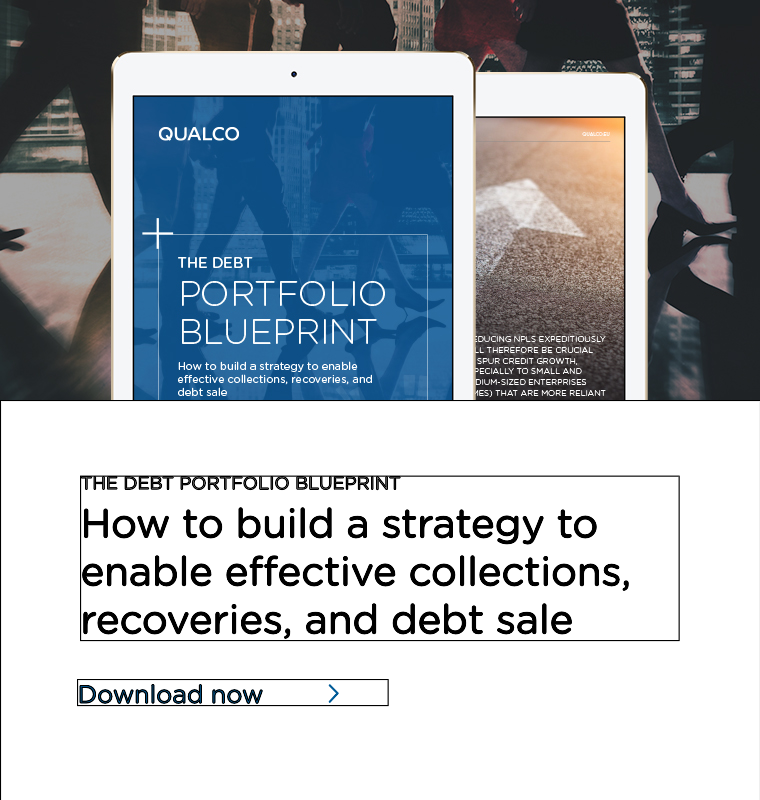 QUALCO Collections & Recoveries facilitates both in-house and outsourcing operations, and addresses the needs of creditors as well as debt collection agencies and ensures compliance with no dependency on other lines of business applications. 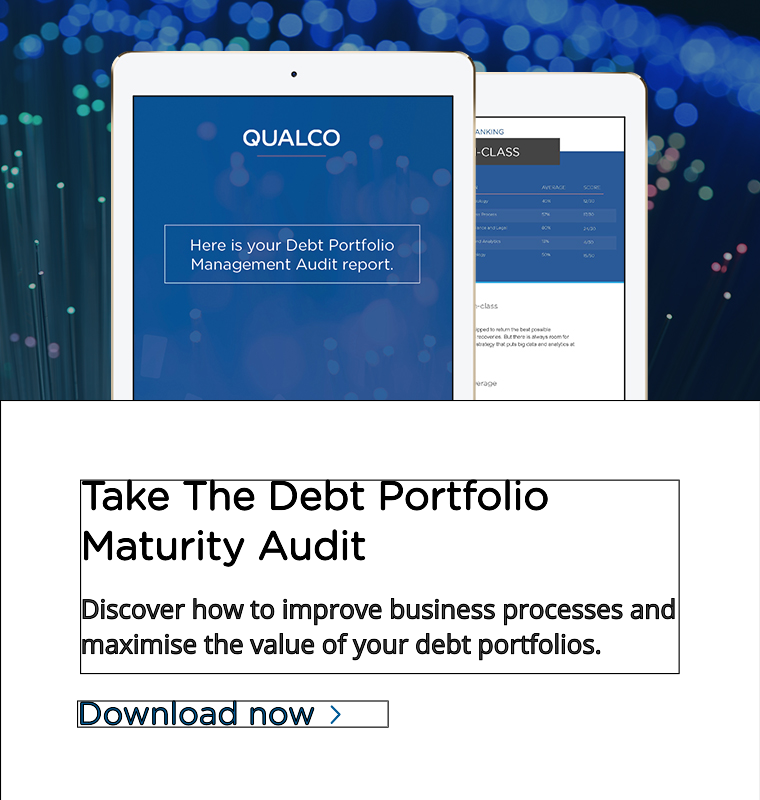 QUALCO’s analytics offering can be used to address the efficiency of collection strategies and outsourcing models, as well as legal and restructuring workout. Advanced technology enables the effectiveness of automated segmentation strategies to be constantly evaluated so that adjustments can be made to enhance performance. Looking to manage in-house or outsourced debt collection operations? QUALCO Collections & Recoveries is a scalable and flexible solution. QUALCO Collections & Recoveries quickly and easily integrates with third-party systems with no vendor involvement. Meet your changing demands with functionalities that streamline collection processes from early arrears to litigation. QUALCO Collections & Recoveries is your platform for the direct management of your customers and accounts, across multiple channels. Record activities, promises to pay and critical notes, as well as set-up and manage payment arrangements and schedules. Assign future tasks, update account statuses and customer details, and develop segmentation and strategy insights. Benefit from advanced segmentation and workflow management capabilities. Covers all aspects of lending, bringing you a clear view of your business. Connects origination and loan servicing in a single, integrated system. Improved RPC rates in order to maximize collection efficiencies. Flexible repayment plans that deliver affordable and fair solutions for customers. Balanced workload and optimised resources, both internal and external. Advanced user experience to increase workforce productivity. Extensive list of portfolio attributes for advanced segmentation operations. 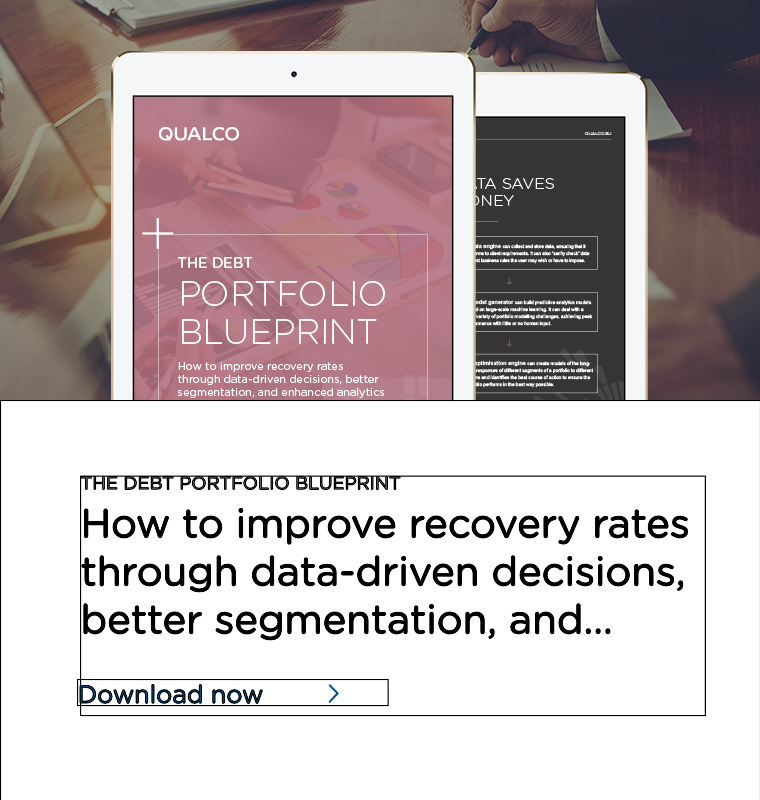 Decision tree functionality that lets the credit institution determine the resolution strategy to apply, and to manage the flow of the portfolio throughout the various stages of the debt lifecycle. Configurable strategies both for industrialised and relationship management operations through a rich user interface that organises the sequence and timing of collection and recovery operations. Set up workout units and allocate management responsibilities. Set up the layout and the data attributes of the Financial Assessment form and obtain the information required for determining the customer’s affordability both for physical or legal persons. Configure restructuring products that offer a wide variety of options such as interest rate reduction, tenor extension, debt forgiveness, and split balance balloon payments. Users are able to reach a suitable and sustainable solution during the negotiation process by considering disposable income and maximised net present value. Implement going and gone concern approaches through user configurable workflows. Highly configurable legal and restructuring workflows for putting in production complex processes compliant to the local legal and insolvency framework and to the debt restructuring policies of the credit institution. Operations are supported through a rich user alert infrastructure, approval and authorisation processes, structured collateral and real estate property data and relevant documentation. Online collaboration with third parties that extend the collections and recoveries landscape. Operate the system in a stand-alone mode that supports end-to-end placement management through interest calculation, payment and write off processing as well as invoicing of fees and commissions. Reporting at any management level through comprehensive and user-friendly out-of-the-box data warehouse and analytics environment. A set of tools to customize and extend QCR with no vendor involvement. This allows the definition and enhancement of integration interfaces, the re-design of the user’s interface and the configuration of additional segmentation attributes.